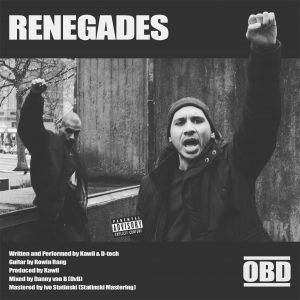 OBD – Renegades – Single Review | The Ark of Music – The best music in the world…you never knew existed. OBD (aka, Outnumbered But Deadly) aren’t only making music for the music’s sake; they aren’t just in it for the art…they’ve also got something to say. They’ve got an agenda, and they’re not afraid to spit it. The Rotterdam, Netherlands duo, consisting of Kawil (MC/writer, producer, video production) and D-tech (MC/writer, video production), have been making music together, and as individual solo projects, since 2014. They embody the indie-music spirit by not only writing, performing, recording & producing their own music, but their own music videos as well. Renegade’s accompanying video is an intelligent play on the consequences of the everyday drudgery faced by so many as their lives move along unconsciously, absent of art and inspiration. And, when it’s all said and done, with solid production, as well as the wise addition of Rowin Rang’s electric guitar skills (check out his solo at about 3:18), OBD has shown that they’ve come to play—but not play around. The live music feel of The Roots meets the grimy flow styling of CunninLynguists. 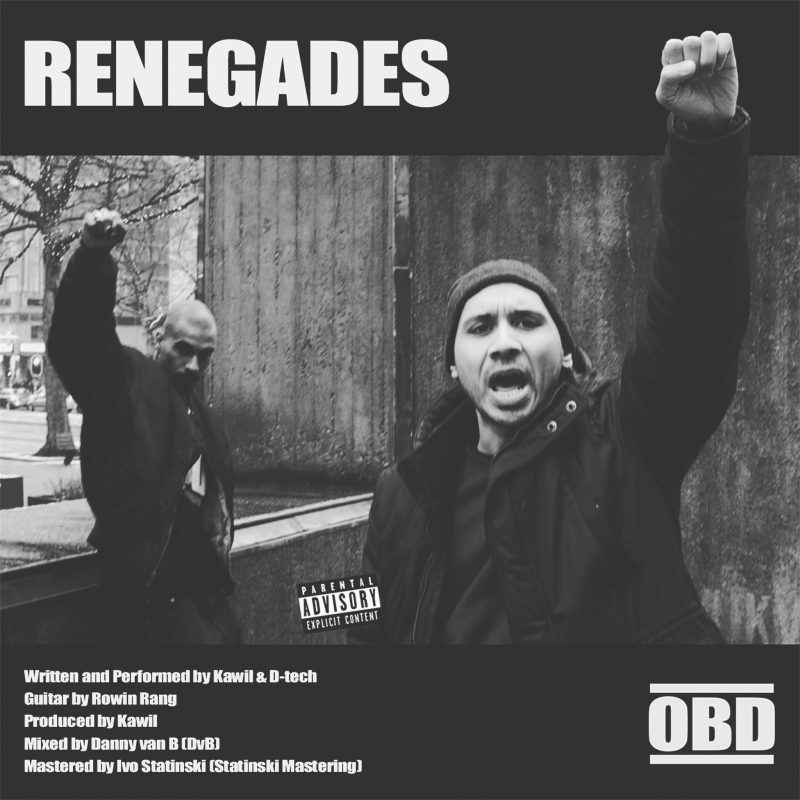 BELOW, you can listen to OBD’s new single, Renegades, connect with their social media platforms, and watch their music video. 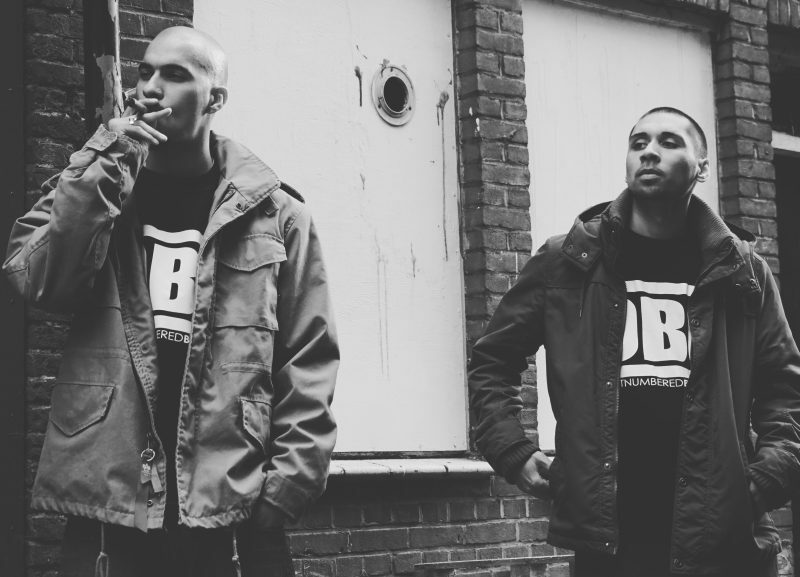 Please support OBD by visiting them online, and playing, downloading, and/or purchasing their music. And, as always, thank you for supporting real music!